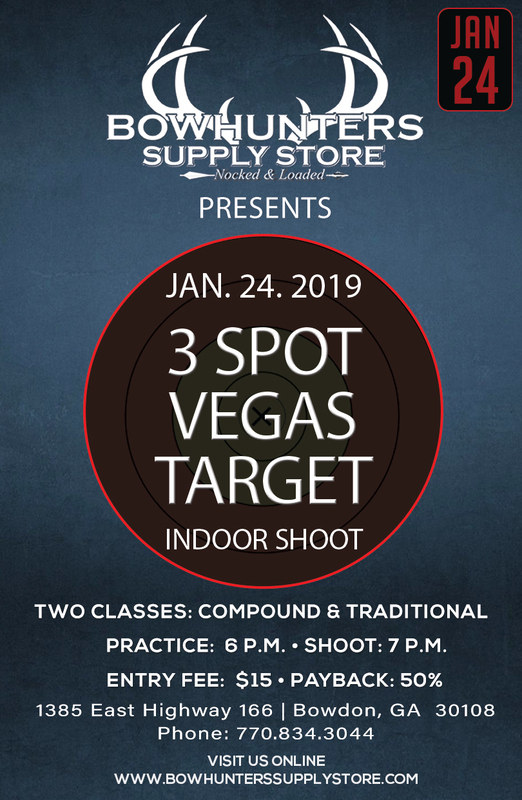 Our next 3 Spot Vegas Target Indoor Shoot will be on Thursday, January 25th. 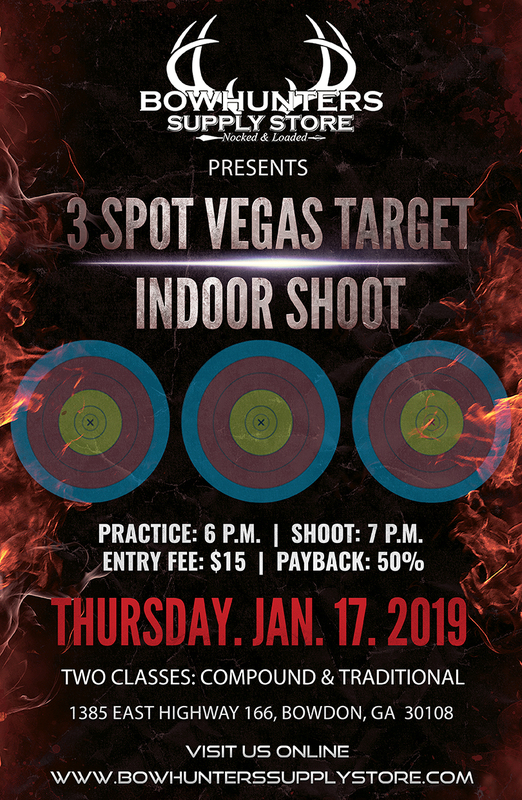 Practice starts at 6 p.m. and the shoot will begin at 7 p.m. The Ravin R9 Has Landed! Introducing the new R9 from Ravin Crossbows. Ravin is boldly different than any crossbow ever created. Powered by Helicoil technology, this revolutionary crossbow has several design advantages that provides unmatched downrange accuracy with every shot. Scott Ware & Chris Powers review the Bloodsport Timberwolf arrow. Order yours today at: www.bowhunterssupplystore.com Get Nocked & Loaded!